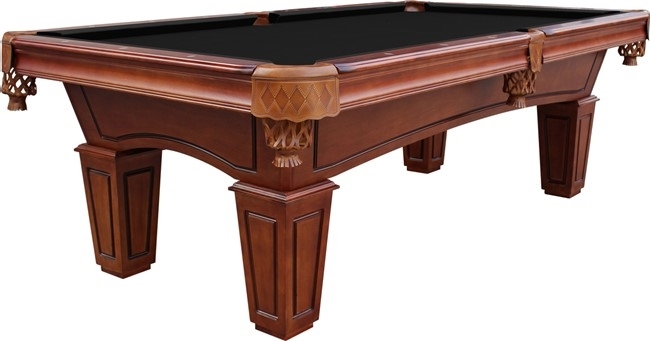 Part of the new Fairfield collection, the St. Lawrence pool table is helping to redefine expectations. Made from select hardwoods, precision machined components and finely honed slate, the St. Lawrence is engineered for a quality assembly and a lifetime of reliable play. All components assemble via machined bolts and inserts. K-66 canvas backed high performance 100pct gum rubber rails are used for the best available rebound performance. Available in chestnut or espresso, both stains are hand applied for a beautiful finish. 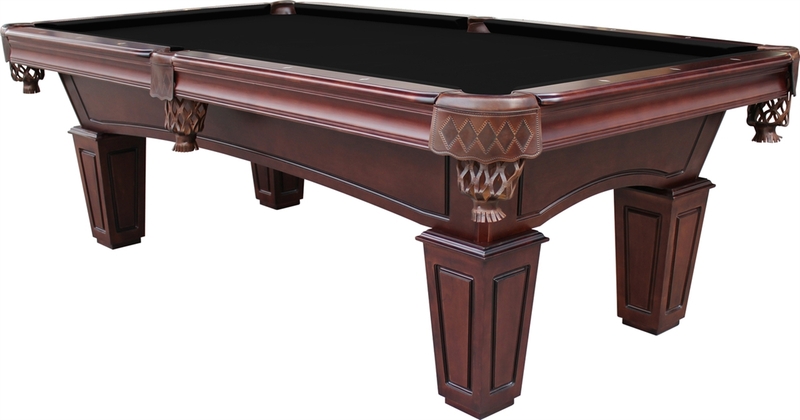 Precision carvings of table details match the available companion shuffleboard tables and create the opportunity for a beautifully matched game room.